Here is our daughter Claire visiting the Scottish Design Museum at the V&A Dundee which opened last Autumn. 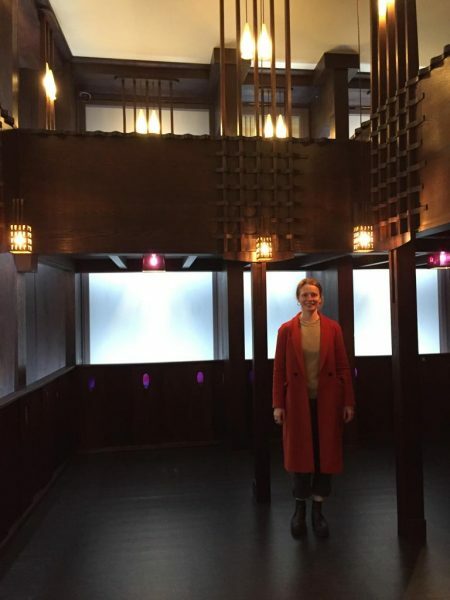 She is in the Charles Rennie Mackintosh designed art nouveau oak tearoom interior. It was originally designed in 1907 and located at Ingram Street in Glasgow before being salvaged in an act of great foresight prior to the demolition of the host building in 1971. Now 50 years later it has been reassembled in Dundee. Strange to think that all four of Claire’s grandparents might have visited this popular tearoom when it was in Glasgow. Whilst it’s the actual interior it’s not really the same ‘place’ as it no longer occupies the particular position in space and time that it once did. Still it’s wonderful to think that the design can be experienced again. Mackintosh is a big draw on the cultural tourism circuit nowadays and like his reputation his built body of work is expanding not contracting. His 1901 entry into a competition set by German design magazine ‘Zeitschrift Fur Innendekoration’ for the design a ‘Haus Eines Kunstfreundes’ or ‘Art Lovers House’ was realised in Glasgow the best part of a century after it was designed and now acts as a popular gallery and exhibition space, events venue, café, artists studios and visitor attraction. Then there is his best known building, the Glasgow School of Art, which was severely damaged by a second catastrophic fire in June 2018. 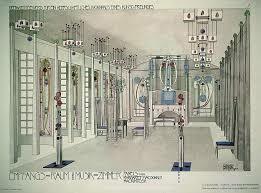 Here the plan is to faithfully rebuild Mackintosh’s original design. This is surely the right approach because so much information exists about the building that a more or less exact reconstruction is possible. In construction, many contractors and specialist subcontractors are considered for work but only one team can actually carry it out when many could have done. In the case of the school of art a new team can now reconstruct the original design idea just as the original team did over 100 years ago. Many blogs ago, when the issue was the rebuilding of the school of art library destroyed by the first fire in 2014, I suggested that because the library was a stand-alone design fitted into a simple box-like ‘shell’ within the building, more than one could be produced. I still think this would be a viable idea and perhaps one of them could head north east to join the tearoom in Dundee. This photo first caught my attention when I thought for a moment that I saw Charing Cross Mansions in the background. 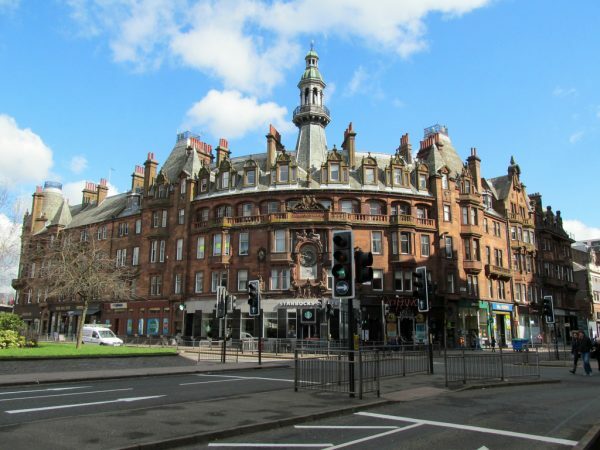 Charing Cross Mansions is considered by many to be the grandest of the red sandstone tenements in Glasgow. It comprises flats over shops – a mixed use building type which is all the rage today. It was designed by JJ Burnett in the Beaux-Arts classicist style and built between 1889 and 1891. It is a super building in many ways. It is a powerful piece of urban design, curving to define the street edge and the whole neighbourhood and seeming like it was always there and always will be. It is a wonderful piece of architecture and art and a great example of sustainable design in that it is still performing its original purpose after 130 years with every prospect of at least the same again to come. However I was mistaken as the building in the background is in fact the equally impressive Midland Hotel in Manchester designed by Charles Trubshaw which opened in 1903. The second thing that caught my attention in the photo is the bizarre juxtaposition of the old and the new. What a miserable little shoe box of a house in the foreground. It could be anywhere or nowhere. This article claims houses like these can be built in just 36 hours and this article suggests 65,000 of them could go into production. So what if they can be craned in and built in 36 hours? That’s hardly the point which is that the Victorians could do more with relatively primitive means. Of course there is a massive housing need but surely we can do better than this? This ‘solution’ is part of a broader malaise. We don’t value good design enough and we don’t invest enough of the national ‘cake’ in the basics – traditionally food, clothing and shelter. I suppose this is in many ways a false comparison since when Victorian buildings such as Charing Cross Mansions were built many people were living in slum conditions and a shoe box would have been welcome. But it does beg the question of what is meant by ‘progress’. The opening lines of the song ‘The Tale of the Giant Stone Eater’ by the Sensational Alex Harvey Band (aka SAHB). 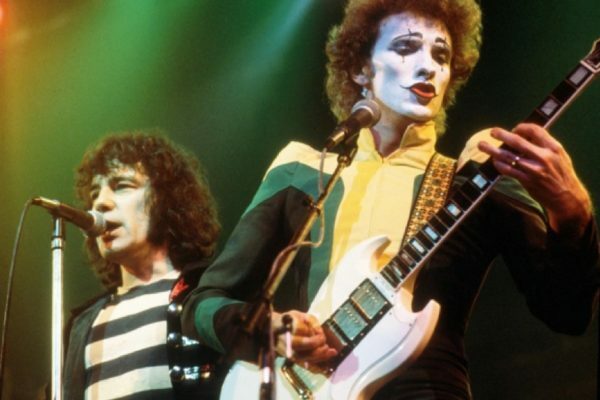 SAHB was one of the most unconventional rock bands of the 1970s. I saw them live in their home town of Glasgow at the height of their fame. 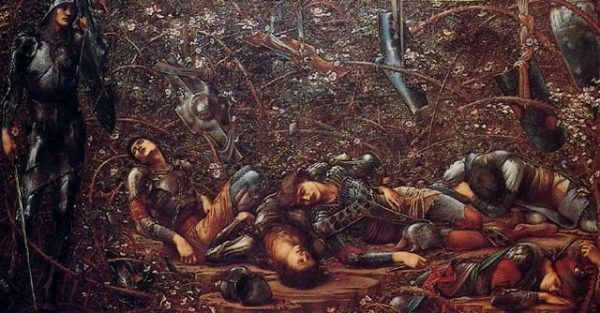 The music ranged from avant garde progressive rock to experimental jazz. The lyrics from this song sound as if they were lifted from a book of Edward Lear’s nonsense verse – ‘a giant stone eater’ and ‘a great stone shortage’. 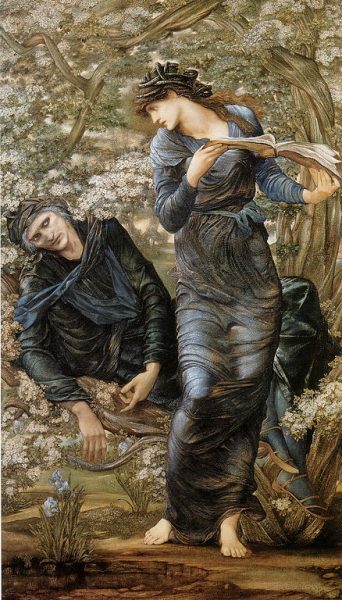 Wind forward to the present day and the words seem less fantastical. Worldwide increase in population and urbanisation is indeed bringing about a great stone shortage. There is a long term decline in the permitted reserves of land based sand, gravel and crushed rock and the use of marine sand and gravel together with recycled materials and industrial and mineral waste as aggregates has increased. There is even a black market in it. Many of us think of supplies of sand, and its larger cousin gravel, as infinite making it hard to believe that something as commonplace could be valuable but like everything else – water, oil, minerals etc we are going to have to start thinking about it. One partial solution is the use of recycled plastic as a building material which would help us establish a more circular economy and clean up the plastic waste strewn about the planet. But no new plastic please – for the sake of the climate hydrocarbons should be left in the ground. Whereas early golf courses were laid out to follow the ‘lie of the land’ modern golf courses have ‘architects’. Large sums of money are spent to manipulate the topography of the landscape and introduce trees and water features. Take the venue of this year’s Ryder Cup – the ‘L’Albatros’ course at ‘Le Golf National’ in Paris designed by architects Hubert Chesneau and Robert Von Hagge in collaboration with Pierre Thevenin. What started out as a flat wheat field was transformed using material from demolition and excavation sites in the Paris area. Over the course of three years in the late 1980’s, 400 trucks per day imported 1,600,000 m3 of material which was combined with 600,000 m3 of soil excavated on site to create a completely new landscape. The course was further modified and improved in advance of the Ryder Cup and then manicured to within an inch of its life for the big event itself. Part of the skill of a golf course ‘architect’ is creating drama with the best hole often being the final hole. At the ‘L’Albatros’ the 18th hole is a stunner with water on the left, pot bunkers on the right and a semi-island green. Mais quelle deception! – the Ryder Cup is match play golf not stroke play golf meaning that matches often end before all the holes have been played. 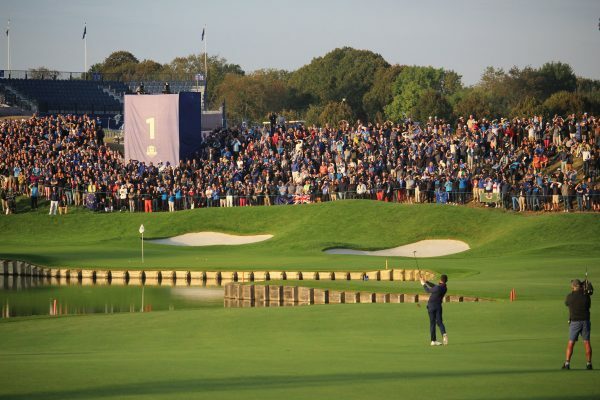 On this occasion only six of the twenty eight Ryder Cup matches actually played the final hole. Still it looked pretty in the photographs even if it hardly featured in the golf. Many moons ago I crewed on an ocean racing yacht during Clyde week that had been designed for, and competed in, the three-quarter ton cup in Norway. It was specifically designed for the anticipated wind and sea conditions. I asked the skipper how it had fared. ‘Not well’ was the reply. The wind and sea conditions turned out to be completely different from what was anticipated when the racing took place. As Robert Burns put it in 1786 ‘The best laid schemes o’ mice an’men/ Gang aft a-gley’. 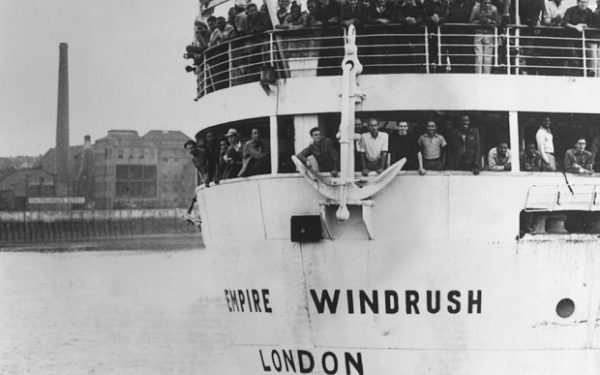 Labour has called Theresa May the ‘architect’ of Windrush. She must be a naval architect because Windrush was a ship. She joins a new generation of ‘architects’ that includes Vladimir Putin the ‘architect’ of Kremlin policy in the Ukraine and General Jon Pyong-Ho the ‘architect’ of North Korea’s nuclear weapons and ballistic missile programmes. Also good to know that ‘Rose McGowan will not be silenced as the ‘architect’ of Harvey Weinstein’s downfall’. There seem to be ‘architects’ everywhere at the moment – in the sense of people who create and implement a plan. The architectural profession could take it as a compliment were in not that there seems to be an implied fiendish or sinister ‘too clever by half’ quality in many cases. The architect as Bond villain (in fact Ian Fleming got the name Goldfinger from the architect Erno Goldfinger). Search online and you can read about the ‘architects’ of global jihad and the holocaust. In terms of building design the title ‘architect’ is protected in the UK under Section 20 of the Architects Act 1997. The title can only be used by someone who is registered with the Architects Registration Board. This is deemed to be in the public interest through the protection of public health, safety and welfare, consistency of standards and quality of service. Pity the poor architects who simply design buildings who see the appropriation of their hard earned title. Or maybe the comprehensive solutions of the megalomaniac tendency within the profession have created the fiendish connection in the minds of the public. To that extent we are the ‘architects’ of our own misfortune. Many years ago I knew a guy in Glasgow who claimed to have a brother who ‘didn’t exist’. This wasn’t in the literal or existential sense, it was in the sense that he wasn’t known to the tax or national insurance agencies, wasn’t on the electoral register and didn’t have a registered address for council tax etc. He lived entirely in the cash economy. His line of work was buying flats for cash, spraying everything inside white to cover a multitude of sins and them letting them for cash. I wonder where he is now and how he is faring in the digital economy where it seems everything is known and the prospect of ‘not existing’ is remote unless you have no mobile phone, everything is by word of mouth, payments are made in cash and communications are made by handwritten note. The ‘scandal’ of the misuse of personal data by Cambridge Analytica has suddenly brought the issue of data privacy into focus. The political consultancy firm ‘harvested’ data about tens of millions of Facebook users by using personality quizzes to build up psychological profiles which were then used for bespoke political advertising. Facebook has tried to look like the innocent victim of data theft but it is only an extension of the way Facebook itself makes its millions – by building up individual psychological profiles to sell to advertisers to create bespoke targeted content. 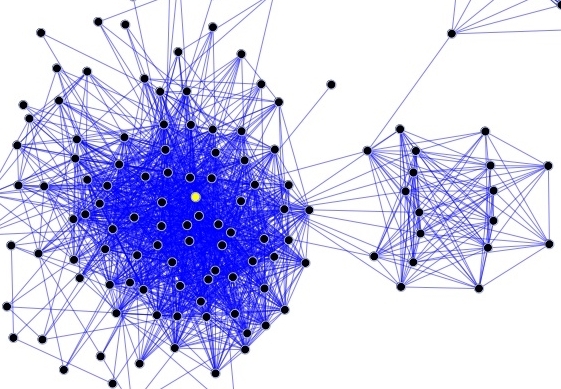 Facebook’s data gathering is probably just the tip of the iceberg. A recent article in Bloomberg about the data mining company ‘Palantir’ entitled ‘Palantir Knows Everything About You’ is quite scary. It describes how tiny pieces of the seemingly unimportant data that we unthinkingly give away can be assembled into a secret digital dossier of our life. No amount of guarantees will ever convince me that data stored by others is secure. My assumption has always been that any data that I ‘ping off’ or enter anywhere is liable to get into unknown hands. If I ever want to do anything subversive I’ll take a leaf out of the book of the brother of the guy in Glasgow. 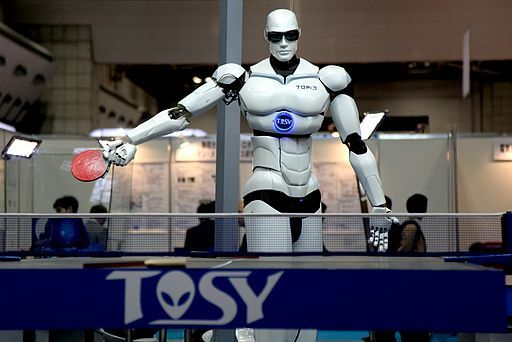 Do we believe that the advance of robotics, automation and artificial intelligence will destroy millions of jobs and create economic havoc or will it create new wealth and new more rewarding jobs? Are we technology optimists or pessimists? For many with repetitive rules-based jobs, particularly in the manufacturing sector, the future looks bleak. For others with an ability to learn new skills and think creatively and analytically the future looks bright. 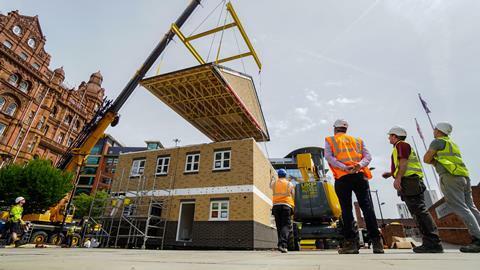 The construction industry is moving in this direction – houses or parts of more complex buildings can be built in factories for site assembly, robots can lay bricks, giant 3D printers can make houses out of concrete and digital cutting machines can make complex objects. The report JOBS LOST, JOBS GAINED: WORKFORCE TRANSITIONS IN A TIME OF AUTOMATION by the McKinsey Global Institute discusses the issue. On the optimistic side it states ‘Even with automation, the demand for work and workers could increase as economies grow, partly fuelled by productivity growth enabled by technological progress. Rising incomes and consumption especially in developing countries, increasing health care for aging societies, investment in infrastructure and energy, and other trends will create demand for work that could help offset the displacement of workers.’ The underlying assumption is of continuing global growth with the question being of how it is serviced. But do we even really believe this? Are we not already well into period of economic adjustment that started with the crash of 2008? An ‘economy of less’ where unserviceable debt and growth in population, resource use and emissions meet the fixed limits of the planet. Or are we entering an economy of more? What side of this argument are we on and what will the collision of robotics, automation and artificial intelligence with the fixed limits of the planet look like? It’s going to get very interesting! 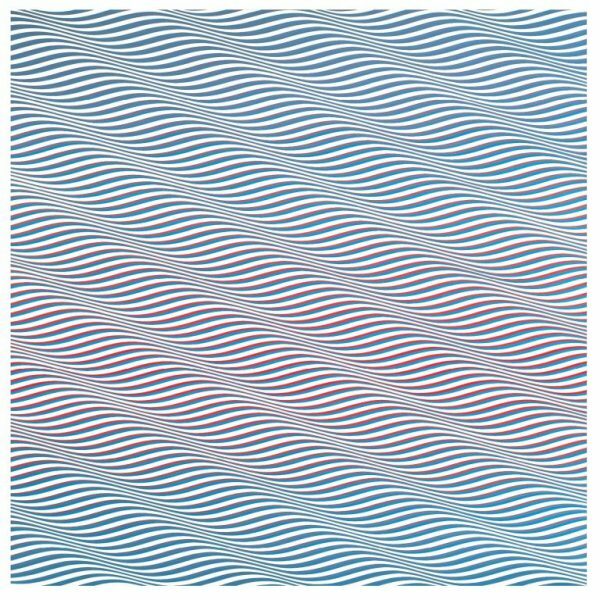 I’ve always been a fan of Bridget Riley and remember visiting the retrospective of her ‘stripe’ paintings from the 1960s and 70s at the Serpentine Gallery in 1999. More recently we took at day out in summer 2015 to the De La Warr Pavilion in Bexhill on Sea to see her ‘curve’ paintings (1961- 2014). 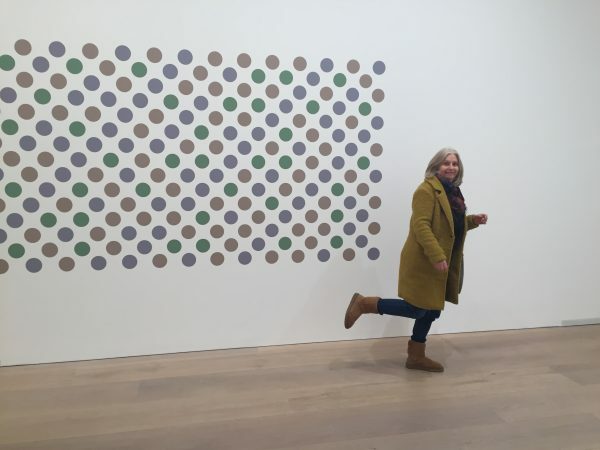 Last weekend all five of the Miller family popped in to see her third solo exhibition of mostly ‘disc’ paintings at the David Zwirner Gallery in Grafton Street in Mayfair featuring recent work from the last four years. 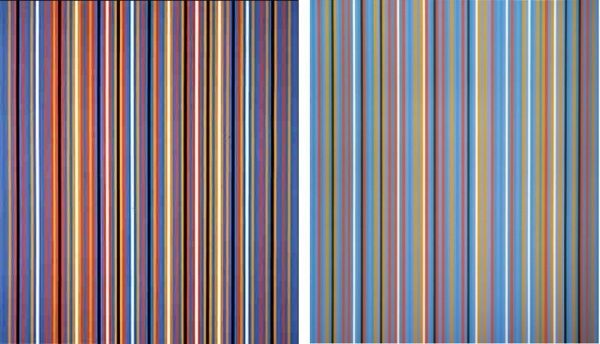 The amazing thing is that despite the obvious differences between stripes, curves and discs there is no doubt that they are all the work of a single artist with an endless fascination with repetition and the interaction between shapes and colours. We walked up from the Royal Academy where we met for a snack and visited the ‘Charles I: King and Collector’ exhibition featuring the impressive collection which was broken up when he literally lost his head in 1649. The Van Dyck portraits of Charles I are especially impressive but touch on the king’s self regard which caused the second English Civil War and cost him his life. 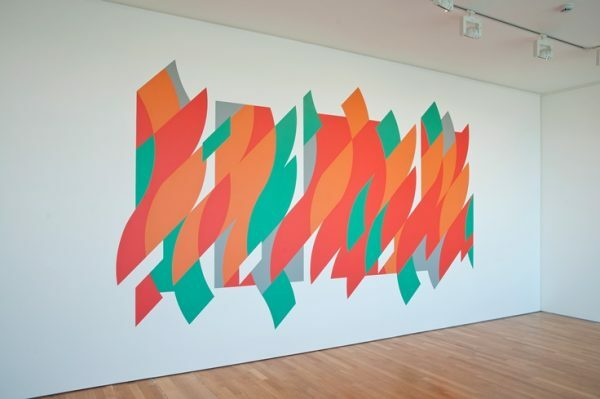 By the time we reached the David Zwirner Gallery we were in the mood for something a bit more contemporary than Charles I and the the Bridget Riley exhibition is certainly that. It is displayed over three floors in a Georgian townhouse. For some ‘dotty’ reason we started goofing about – striking poses and taking lots of mobile phone photos amongst the paintings – thinking we weren’t being watched only to discover as we left that the front desk has CCTV cameras. 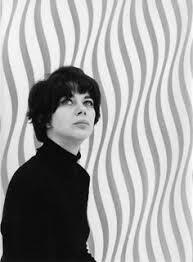 How embarrassing – but I’m sure Bridget Riley would be pleased we had such fun.